The goal of our Family Dog Manners class is to establish a mutual bond and appropriate relationship between families and the dogs living with them. 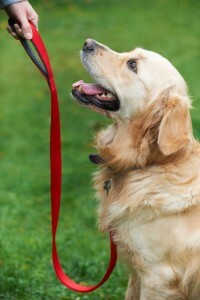 Using methods based on positive reinforcement, we will teach you how to communicate with your dog. We introduce skills such as attention, walking politely on leash, come when called, sit, down, and wait and then put them together into useful real life applications. This class is for adolescent and adult dogs alike (16 weeks of age and older). Pet Dog Manners class is the foundation for all of our continuing education courses. 1st is a linear format. You come each week and progress in a structured order for 6 lessons. If you haven’t progressed as far as others in the class, it doesn’t matter. Each person progresses at their own rate This is a more traditional style of class. Orientation is required followed by 5 weekly classes. 2nd is a modular format: This class covers the same materials, but rather than being linear, I present all the materials and teach certain skills each week, but if you miss a class, you simply work on the other skills at the level you are at (1-4) and learn the skills you missed the next time around, usually within 2-3 weeks, but this way you are never “behind” the rest of the class and are welcome to come as often as classes are offered during those weeks. Each dog/owner progresses at their own rate. You work on what you need for each level of proficiency. For instance, your dog might have really great “sits”, working at level 3 or 4, but need more work at a lower level in another skill. An advantage of modular learning is that you not only work on individual skills at your own level, but if you miss a session, you are not “behind”, as you are always working where your dog is and are not dependant on keeping up with a “class” schedule. The modules can be worked on in any order. Learning is a two-way street. English is a second language to dogs! We need to teach them the meaning of a few of our English words, but it’s equally important that we try to understand their fascinating body language as well. Not only are they learning English, but also ASL (American Sign Language), in other words, hand signals. We split behaviors into easily rewarded segments; then we put those pieces together. The classes are small. The instructor to student ratio is no more than 1:4, ensuring that you will receive personal attention from the instructor and one-on-one coaching. Please contact us me or see calendar page for class availability. Orientation is required, followed by 5 weekly classes. A 5 week continuation of Basic Pet Dog Manners, this class is modular in format. Each class time 3-4 stations will be set up and as you work thru the 10 differentskills learned in Pet Dog Manners you will be working at the level you and your dog are on the skills you both need. You will work more independantly and each student/ dog team will be working on skills they specifically need. This class will also teach a “Stay”. This is taught as a duration exercise and is not to be confused with the “wait” taught in Pet Dog Manners Level 1. Many of our training exercises are in the form of games or real life situations, making training effective, practical and fun.